1) Codathon (15 Jan-22 Jan): An Inter NIT Coding Competition with the enthusiastic participation of 5028. 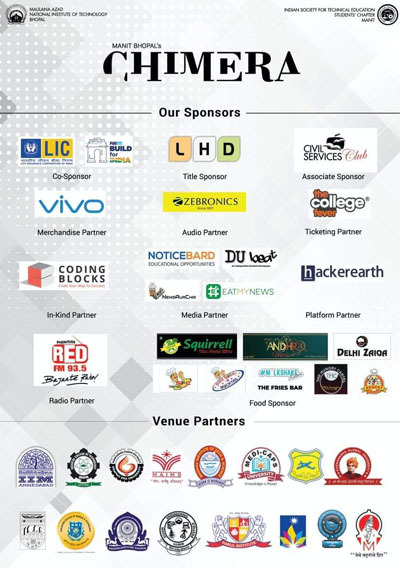 2) Chimera X (19 Jan- 17 Feb): A National Quizzing Event which began 17 years ago and has now reached 17 colleges across 16 cities. 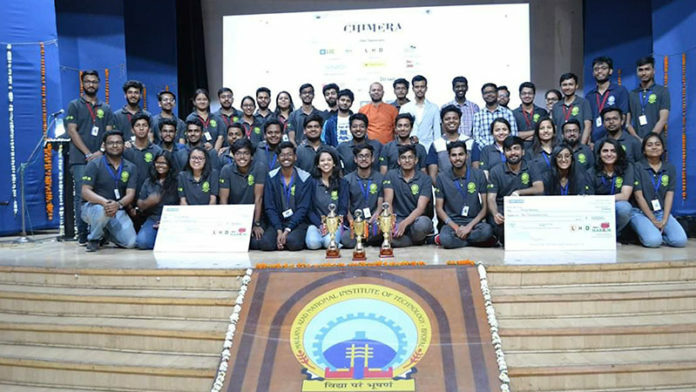 The winners were from Nirma University, Ahmedabad and IIIT Jabalpur and NLIU BHOPAL stood second and third respectively. 3) Megatreopuz(10 Feb- 16 Feb): An Online Cryptic Hunt which has kept even the best of minds guessing. The participation ranged from Bhopal to Delhi to Russia and Romania. 4) Anubhuti: An Iconic Annual Talk Show to celebrate success stories and to motivate the students for a brighter tomorrow. The guests were Dr. P.K Desai the president of ISTE, New Delhi and TN Suresh Kumar, a senior space scientist from ISRO. 5) Social initiative: The ‘giving back’ festival organised by ISTE SC MANIT to showcase the humanitarian side. 6) Chimera Nite: The annual pro-show night to celebrate the good times and people with music, food and serenity.